Cryptocurrencies like Bitcoin and Ethereum can be “mined” and exchanged for goods, services...or even fiat currencies, like the US Dollar. 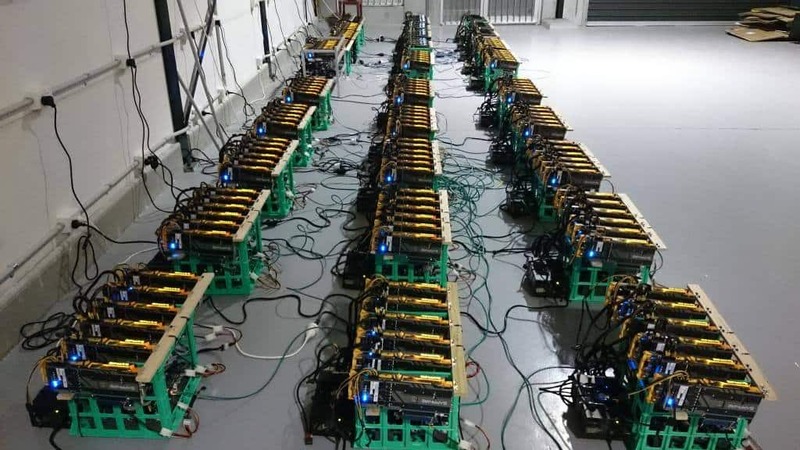 For many consumers, the best way to go about mining cryptocurrency is by investing in a powerful GPU- in ideal circumstances, this will pay back your investment quickly and start making you a lot of money. Plus, you can play video games with it! Micro Center is pretty much the last relevant brick-and-mortar PC hardware retailer, and they’re staying relevant by helping deal with the GPU shortage. The way they’re doing this is buy lowering their GPU prices...for those who are buying a full PC in-store at Microcenter. If you’re buying a brand new PC and aren’t just upgrading an existing PC, this is probably your safest bet for saving the most money. MicroCenter discounts in these situations seem to be about as close to MSRP as you’re going to get. It may physically pain PC building enthusiasts (like ourselves) to say it, but prebuilts actually may be one of the best options right now. Companies like iBuyPower or CyberpowerPC buy their GPUs in bulk from manufacturers, so they aren’t actually affected by the GPU shortage and its associated price hikes. Were it not for the GPU shortage, it’d be a good bit more expensive to buy a prebuilt PC than to build it with the same/equivalent components yourself...but now that the GPU shortage is in play, buying prebuilt actually saves you money. Just wait. This shortage isn’t going to last forever, especially if the cryptocurrencies it’s linked to start crashing. Bitcoin recently collapsed pretty badly, and the instability of this market could mean that a bubble is going to pop in the near future. While this shortage won’t last forever, the length of it is honestly anyone’s guess: it could be in a month or two, or it could be in the latter half of 2019. If you’re going to just wait it out, make sure you have the patience to do so- otherwise, just consider one of the other options on this list. I am personally always conscious of GPUs and how fast they go out of fashion. You can buy a GTX 1060 today and would have difficulties playing the latest AAA PC games in high/ultra settings. Fast forward 1-2 years, your GPU is dead meaning you can only play at low/medium settings. Then you have to spend more money again to buy one of the latest GEN GPUs so you can meet up and play games at the desirable quality. I feel it’s a never-ending struggle, so I opted out of PC Gaming.